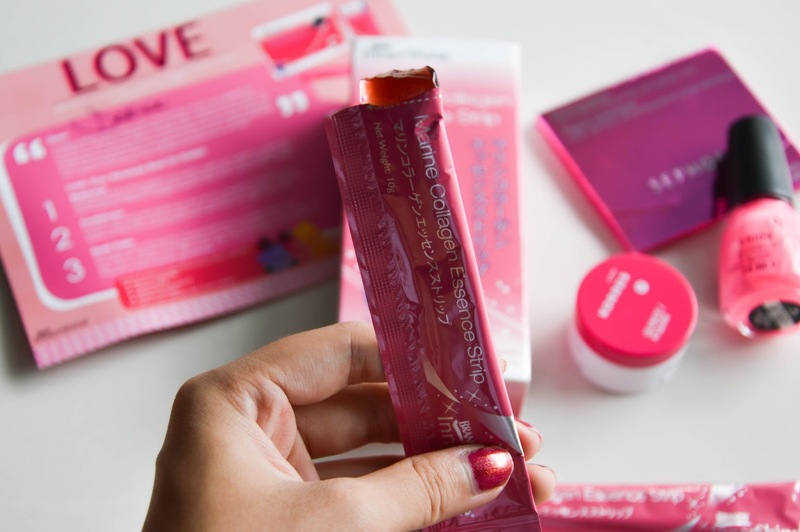 a couple weeks back, brands have kindly put together some date night essentials - the marine collagen essence strip accompanied by korres lip butter, oil blotter from sephora and china glaze neon pink nail lacquer. my mom and i tried the product and we both loved it. i like the fact that its fuss free and yummy. knowing how hectic our lifestyles are becoming, i found myself either striping and consuming it in seconds before i leave for work or consuming it during work. 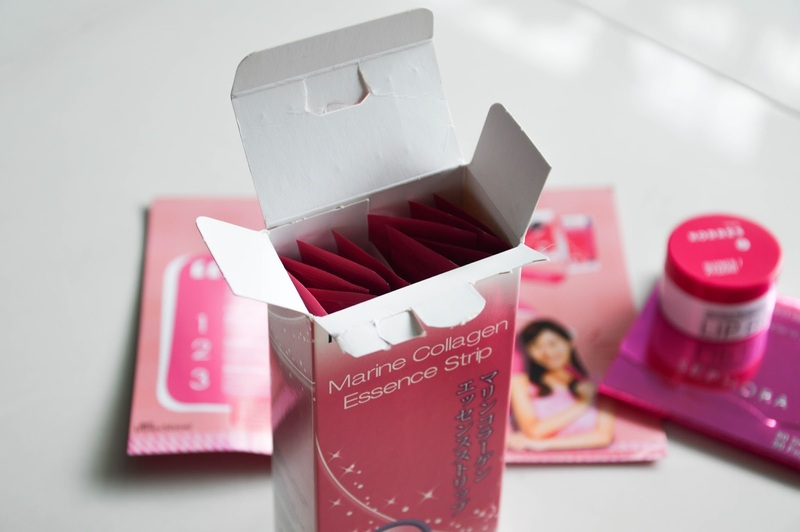 a pack of collagen strip a day keeps the wrinkles away, or so how i would like to think it as. i would definitely recommend this product if you have the budget to do so. Cute, I have the same problem..